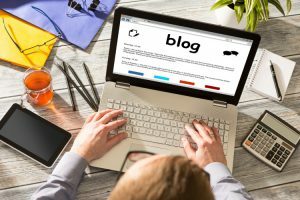 Blogs provide the perfect channel for generating quality links that will help you with your SEO performance. There’s no easy, hard and fast rules for increasing your chances of gaining quality, organic links, however here are a few tips that may increase your success and help harness blogs as an important contributor for your 2017 link building strategy. Strike a chord – ensure your blogs provide value and meet your audience’s desire for authoritative information. It’s far better to publish one or two well researched, information packed blogs than churn to loads for the sake of it. People will only link to blogs that they feel are of interest to them and their peers. If you’re piece doesn’t add value, provide a good read or even make someone laugh then your links will be low. Add links to build links – if you are hoping to get others to link to your blog then don’t forget to include links to other sites in your own blog. I’m definitely not talking spamming here – which you should avoid at all costs if you want your link building strategy to serve its purpose – but if you can link to useful information featured on another site or provide direct links to products you’ve discussed then this will increase the chances of you receiving back links from other sites, especially if you keep those you’re linking to informed. Get creative – No one wants to hear the same information over and over. Brainstorm some topics that haven’t been covered and tap into those all important keywords that your competitors aren’t using. Alternatively you could take a popular topic and do something new with it, for example using graphics or video to make you stand out from the crowd. The internet is overloaded with the same old information so if you want others to link to you then you need to be different. Does the other blog reflect your own brand values? Remember, you’re trying to build trust and an ongoing relationship with your audience. Beware of blogs that contain a ridiculous amount of links already or one that is covered in advertising. When you have determined which bloggers you want to work with consider creating bespoke blogs with a particular blogger and their followers in mind. This will increase your chances of receiving a reciprocal link and also ensure you create a quality link. It’s a win win situation for both of you blogs as you can provide them with a quality link and receive one in return. Finally, make sure you actually link to your own blogs across your other websites and social media accounts. Let your contacts know about your blog and actively promote new content as and when it comes out. People can’t link to your blog if they don’t know its there. This entry was posted in Uncategorized on May 1, 2017 by Roland.